The occasionally extreme performance issues found in the console versions of Fallout 4 make those versions more difficult to recommend than their PC counterpart. As someone who has really appreciated this line of games in both its Fallout and Elder Scrolls flavors, Fallout 4 was still harder to swallow than I initially suspected it would be. It's another one of those games, for better and for worse. Whether or not players find other changes displeasing, such as the new dialogue system and its limitations, is likely going to depend on their personal relationship with the Fallout series. Newer players will probably never know what they're missing and are likely to have a fantastic time, while fans who have stuck around may be disappointed with the direction Fallout 4 takes. If you've played a Bethesda RPG, you should have a pretty good idea of what you're in for. Bethesda plays it surprisingly safe with the formula, but they also do a much better job with the story this time around, serving to elevate the game as a whole. While there's no denying that it can be a bit ridiculous at times, its sheer scope speaks for itself. Bethesda has succeeded in crafting yet another fascinating open-world RPG. 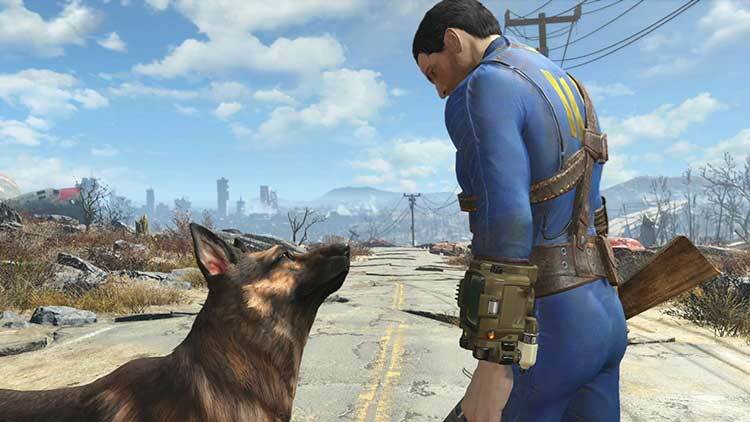 Fallout 4 is once again another Bethesda game that people will talk about for numerous years. Just like with Skyrim, this game is open, full of mysteries waiting to be discovered, and open for a mod community that can bring it to life even more, and with Bethesda announcing mods coming to the consoles as well, there will be even more to see and do in the coming months. It’s a bit rough around the edges in some areas and could do with a dab of polish. Regardless of these small faults, the stories told and discovered are fascinating and the Commonwealth is immensely interesting to explore. What I can say is that Fallout 4 is a wild ride that gets its hooks in you deep, with a number of welcome improvements and a settlement management system that could be its own entirely separate game. All that, and not a single microtransaction in sight, despite the game being easily structured for such a horrible business practice to slide right in. That is impressive. The fact of the matter is, though, that this is more of the same, even if that 'same' has been pushed to new heights. If you hated Fallout 3, then there's not much to get you onside here. 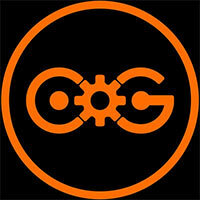 If you loved it, then you'll love this all the more, because of its differences as well as its similarities. Fallout 4 might not reach the insane expectations of the hype that built it up these past few months but it undoubtedly comes closer than many other games that have been in the same predicament. Complex, full of depth and infinitely customizable, Fallout 4 manages to stand above its glitches and odd subpar animations to be an experience well worth having. Venture forth from Vault 111 and have a blast! Fallout 4 has all the hallmarks of greatness, and it's improved upon previous releases in the series, making use of current gen to deliver a far more cohesive mixture of RPG and FPS. No longer is it an RPG with shoddy, bolted-on FPS features, it's now a proper fusion of the two, a fusion that doesn't sacrifice the content we've come to expect from the immensity deep storytelling and world-building. For the last decade, Bethesda games have had similar issues, and it’s getting harder to forgive. Somehow, in spite of everything, Fallout 4 consumed us. When we’re not wandering the wastes, it overwhelms our thoughts as we ponder where to go, which faction to pursue, and what weapon to try next. Fallout 4 is flawed in very serious ways, but it’s also the only thing we want to do. Fallout 4 is a roaring response to criticism that the series has ignored its qualities as a shooter in favor of its deeper and stronger RPG roots. 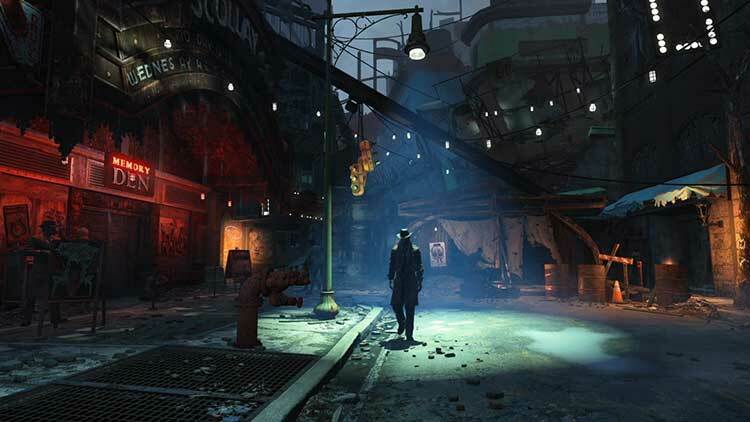 Nearly every design change in Fallout 4 poises the game as a more streamlined modern shooter with high production value across the truly open-world Commonwealth wasteland. 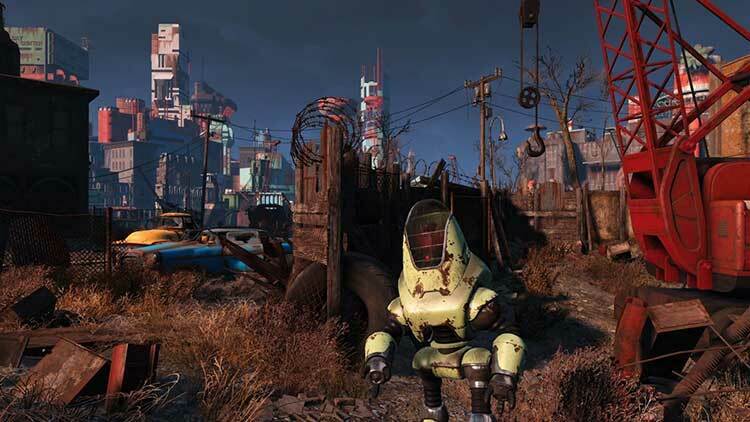 Fallout 4 is exactly and precisely more Fallout. Its couple of new gameplay elements are well-executed and enrich the experience, but they don't make this feel especially different than the Wasteland we were exploring almost a decade ago. If you enter looking for a heaping helping of the Fallout action you already enjoy, and an enthralling romp through a newly realized portion of the Wasteland, this certainly fits the bill. Just don't hope for another revolution, because like war, the Wasteland apparently never changes. An amazingly detailed game world, with a secret and surprise around every corner. Excellent upgrade system, crafting, and good variety of companions. Interesting base-building. Its technical faults and lack of innovation are frustrating, but the game underneath is as enthralling and compulsive as anything Bethesda has ever made. I’ve played through Fallout 3 a few times, because I honestly enjoyed it more than the arid New Vegas. But I know I will play this a lot more than either of those titles, because there is just so much to do. 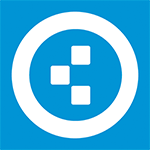 To write an in-depth review would take months, and you might never see everything I did. I’ve read that some people are 90 hours in, and haven’t reached the sixth story mission! Fans of the Fallout series will find lots to enjoy with nods to the entire series, but newcomers will find just as much. What an absolutely fantastic game. 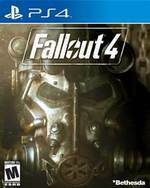 Bethesda has nailed Fallout 4; the world, the graphics, the perk system, the story - almost everything about this game demands coming back to over and over again, where players can happily sink hundreds of hours into exploring the harsh wasteland. However, it's disappointing to see problems that have plagued other Bethesda titles are still showing their gruesome face. Fallout 4 is a masterclass in open world design. Consistently engrossing and absolutely stuffed with intricacies, it's a title that'll keep you enthralled for hours at a time as you gradually unravel its desolate yet hopeful post-apocalyptic portrayal of Boston. Although it's let down by some disappointing frame rate issues, it's not enough to detract from what's otherwise one of the most atmospheric and beautifully brutal games on the PS4. Fallout 4 captivates with a hauntingly beautiful apocalypse and refuses to let go. Exceptional gameplay is marred by a few flaws, but the Wasteland’s flaws have never been fewer. Habrá quien encuentre muchos fallos en Fallout 4, la mayoría técnicos eso sí, y habrá quien no quiera pasar ni diez minutos jugándolo pero la realidad es que Bethesda nos ha regalado (por usar un verbo que poco tiene que ver con esta industria) una aventura que nos puede tener enganchados durante meses y de la que seguiremos aprendiendo y descubriendo nuevas cosas durante mucho tiempo. Una aventura genial y fascinante, y si os gustaron u os enamoraron anteriores títulos de Bethesda, os podéis hacer una muy buena idea de todo lo que os vais a encontrar, para bien y para mal. Un juego para despedirse del mundo y sumergirse en su universo durante una ingente cantidad de horas, cuyas poderosas virtudes compensan sus evidentes defectos. Describir todos y cada uno de los elementos que conforman a Fallout 4 es una tarea casi imposible, pues cada quien lo puede vivir de manera totalmente diferente y encontrarse con algo nuevo cada vez que se enciende la consola. Las novedades como los sistemas de personalización, la alta cantidad de imágenes violentas y sangrientas gracias a un combate más ágil y la posibilidad de ponerse el Power Suit como traje para ser un tanque con piernas, jetpack y pintado de nuestro color favorito son un deleite. Fallout 4 es más grande, más ambicioso, más bonito y con muchísimo más contenido que cualquier edición anterior desde que Bethesda cogiera las riendas. A pesar de un inicio lento y doloroso, si se le da una oportunidad para salvar las primeras horas se abre un mundo ante ti que te atrapa, en el que cualquier personaje o cualquier edificio siempre va a tener algo que aportar al maravilloso universo creado. Fallout 4 se dedica a mejorar y agrandar lo que vimos en su ya de por sí estupendo predecesor. El regreso al mundo post-apocalíptico que ofrece es una verdadera gozada, y la incorporación de los asentamientos y de los talleres hace de la profundidad tradicional de la serie algo todavía más inabarcable. Un título inmersivo, descomunal y divertidísimo al que se le pueden sacar muy pocas pegas y que nos mantendrá pegados a la pantalla durante cientos de horas. Fallout 4 ist keineswegs ein perfektes Spiel, aber immer noch ein sehr gutes. Wenn ich mich abends mit Freunden über Erlebnisse im Ödland austausche und jeder von einer eigenen Geschichte zu schwärmen hat, muss das Spiel einfach einige Dinge sehr richtig gemacht haben. Fallout 4 hätte an vielen Ecken und Enden etwas Feinschliff nicht geschadet. Avec Fallout 4, Bethesda aurait pu prendre appui sur les exemples d’écriture livrés par Obsidian avec New Vegas, soigner la répartition de son contenu en s’inspirant de Skyrim, prendre en compte dix années de grogne de sa communauté et passer à la vitesse supérieure. Cette nouvelle aventure post-nucléaire emprunte malheureusement une autre route, certes loin d’être honteuse mais assurément moins éclatante : celle d’un titre tampon entre deux Elder Scrolls. 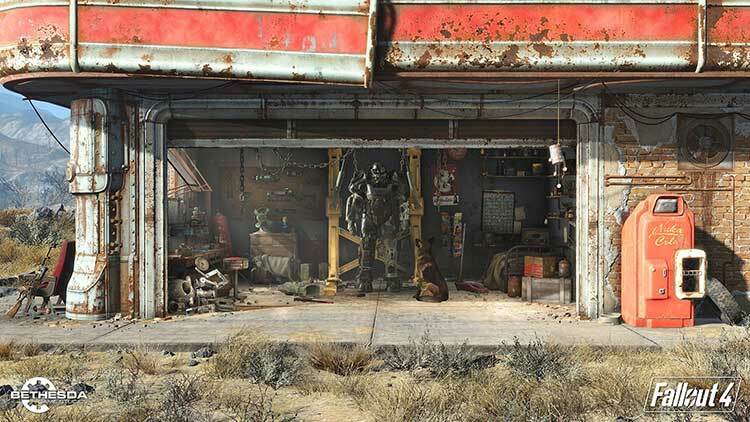 Vasto e imersivo, com intrigantes narrativas cruzadas, um sistema de combate aprimorado e um mundo rico e capaz de nos fazer esquecer as falhas que alvejam Fallout 4. Uma união entre RPG e FPS que expõe o melhor dos dois géneros de forma única e viciante, capaz de prender os jogadores durante horas e horas, numa atmosfera pós apocalíptica notável. 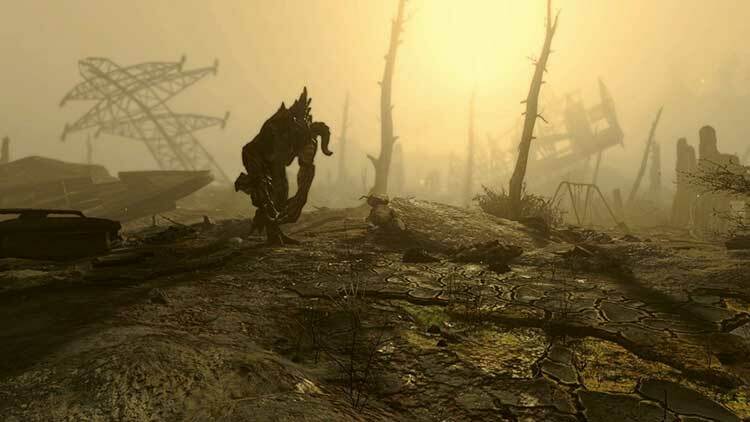 Fallout 4 è bello come Fallout 3, o anche di più, ma non ha lo stesso clamoroso impatto che ha avuto il suo predecessore nel periodo in cui è uscito. In particolare, dal punto di vista grafico, ci sono giochi open world che hanno offerto di più, in questi anni. E anche la struttura e il gameplay, se si esclude l’aggiunta degli insediamenti, sono rimasti pressoché gli stessi del predecessore. Fallout 4 è un titolo assolutamente eccellente, forte di una ricchezza del mondo di gioco che non ha eguali nel panorama odierno. Il Commonwealth è credibile, traboccante di punti d'interesse e capace di suscitare un fascino che da solo è in grado di stimolare il giocatore a girovagare per la landa devastata dal fallout atomico con il solo gusto di scoprire lo scenario fin nelle sue località più impervie. Fallout 4 bevat alle elementen die de serie zo goed maakt en breidt de mogelijkheden gigantisch uit, waardoor het totaalplaatje onweerstaanbaar is voor de RPG'er. Grafisch biedt de titel niet het bovenste van de plank, maar dat wordt goedgemaakt door alles wat Fallout 4 voor de rest te bieden heeft. 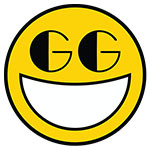 Met veertig uur speeltijd ben ik nog steeds niet door de game heen, waardoor het met de speelduur ook wel goed zit. Fallout is terug van niet weggeweest en dat voelt goed.